When is the best time to get a baby’s photo session done? Baby sessions can happen anytime between 3 to 5 months of age. The best time is at 3.5 to 4 months age when babies can handle their neck, do tummy time without turning and start responding with smiles and expressions. What is the difference between a baby setup and a family session? A baby setup is designed to photograph just the baby. A family session includes the baby and the parents. Please note that the baby is part of all the photos. A maximum of 2 adults are photographed in each image. The timings for sessions varies with the package type. The classic package should take 30-40 minutes, provided that the baby is settled. The combo package takes about an hour. The Gold Session will last about 2 hours. The Platinum Session can take about 3 hours. Sometimes though babies can take a bit longer to settle, so ultimately we are at their mercy ;). The final retouched images provided to you are in high-resolution jpg files with our logo watermark. Yes, we offer high quality coffee table books and wall portraits. Please check these out in person when you are visiting for your session. Baby photography means capturing the fleeting moments and adorable emotions of your little one at 2 months, 3 months, 4 months, 5 months or 6 months of age. As your baby grows, they change very fast and these moments are captured into an everlasting memory by baby photography. The best age for baby photography, according to Anega Bawa, is 4 months. With years of experience under her lens in baby photography, delhi baby photographer Anega Bawa specialises in fine art studio photography. Over the years, Anega has gained a reputation of being the finest artistic baby photographer in delhi. Her baby photography captures and celebrates the baby’s natural cuteness, smiles and expressions. An established baby photographer, Anega’s baby photography brings a burst of colour to your baby photoshoot. The attention to detail given by Anega is loved by her Baby photography clients. Her baby photography focuses on capturing the emotions of the baby in response to her play with the baby. Anega especially loves to capture mom and baby portraits, celebrating the bond of love that is unlike anything else. Your baby photography session is scheduled around 2 to 6 months, and the baby photography session generally lasts up to two hours depending on the package. Anega would love to capture your baby every year with an yearly child portrait. Bringing up a baby is the most rewarding experience you will ever have. You want to have all these cherishing experiences captured. The most important stage of a child’s life is the baby stage – 3 to 6 months old. This is when your baby starts exploring their first expressions and responses. They smile back when you smile at them and they laugh back at your peek-a-boos. You will definitely want to capture these expressions with the help of baby photographer in delhi, Anega Bawa. She is very good and playful with babies and brings out the best in them. You would want an experienced, creative and a caring baby photographer who can produce the best possible baby pictures for you. Anega Bawa, an experienced baby photographer, offers high quality portraits for your babies! With an the most artistic picture of your adorable little baby, you will always have a perfect memory of your child at that precious stage, no matter how old they get – thanks to a baby photographer. Please be sure to invest in baby photography so that you will remember and re-experience your baby’s fleeting moments forever. Your baby grows up so fast, and before you know it, your baby is a toddler, a child and a teenager and then off to college. For this reason, it is important to capture the cherished memories of your baby’s babyhood. Anega Bawa, a Delhi baby photographer offers award-winning baby photography services – something that is literally the talk of the town. A Baby photographer can provide you with quality photoshoot of your baby. Anega Bawa provides a timeless and award winning baby photoshoot in delhi for your baby. By timeless, we mean that no matter how much time has passed, your baby’s memories will be frozen in photographs and will make generations of your family to be prod of your decision to hire a baby photographer. There are many baby photographers available in delhi ncr are and it can be a challenge to find the right one for your baby. 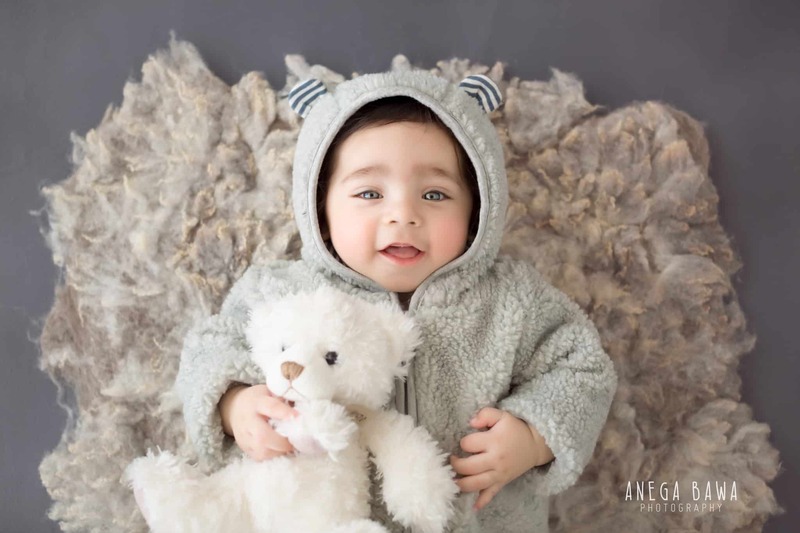 However, Anega’s original approach that brings out the true character of her baby subjects have made her the most sought-after baby photographer in Delhi.